It’s not difficult to set up a website and display your products or services. Attracting customers, however, isn’t usually quite as simple. If you want to increase sales on your website you need to follow certain guidelines. 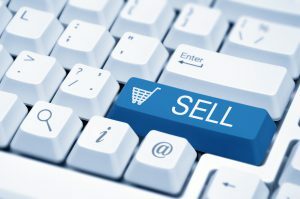 Let’s look at some popular tips to help you improve online sales. Many businesses set up a website without having a clear idea of what they want to accomplish. Identify your goals, which may include increasing brand awareness, building a mailing list or selling products directly from your website. Set goals for your online marketing and map out a way to achieve them. Unless you only sell a single product, it’s best to create separate landing pages for different purposes. This ensures that prospects land on the page that’s most relevant to their interests. Unique landing pages are also good for SEO as you can give each page a distinctive URL. Retargeting is a powerful way to get repeat business from existing customers. After someone buys one of your products, be sure to send them follow up messages on upgrades, peripherals and related items. Regardless of what you’re selling, an email list is an efficient tool for staying in touch with your customers. Make sure you have a highly visible opt-in form on your website to join your list. Offering users a free gift for subscribing is a good way to get them to sign up. Paid advertising on platforms such as Google, Bing and Facebook provide you with a fast way to get targeted traffic and increase sales. Learn which keywords your customers are searching for and try different types of advertising. It’s important to communicate consistently with your audience. Whether you communicate via your blog, social media pages or email list make sure you send out targeted messages on a regular basis. This ensures that your brand stays fresh in people’s minds. It’s important to build a unique brand and not make your marketing too generic. Identify your target audience and find out what your customers want and need. It helps to create buyer personas for all your products. Look for ways to differentiate yourself from the competition. Look for ways to entice people into trying your products. Coupons, contests, rewards programs and other promotions all help you attract attention and increase online sales. When you release new products offer early bird discounts. Offer existing customers a discount on new products or upgrades. When you track your results, you can continually refine your approach. For example, when you create ads always test different headlines and keywords. See how people respond to different words and images in your emails and on your website and social media pages. Use Google Analytics and Facebook Page Insights and other analytics tools to keep track of all your results. Many marketing tactics to increase sales such as advertising, website design and various services require a cash investment. If cash flow is a challenge for your business, one solution is invoice factoring, a process where you get paid for invoices right away. Riviera Finance is an industry leader in providing invoice factoring and other financial services to businesses. Sign up now and you can get cash in as little as 24 hours.